UP Records presents Twisted Path, the deep and atmospheric release of Zone Tempest AKA Božo Peraica of Melbourne, Australia. 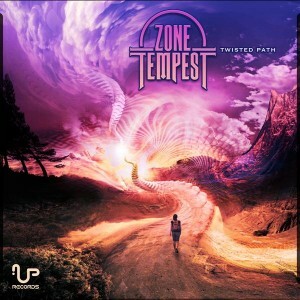 Zone Tempest has a heavy defined sound and its displayed with a full variety of production technique here on this twisted path. Each track has a unique set of vast and rhythmic soundscapes. Zone Tempest has been making an impact on Australian shores and we now bring this sound to a further audience and beyond. Mastering by Raz Kfir AKA Upgrade with graphics by Clint Grierson AKA Zero Point Productions. MP3 Download | FLAC Download | WAV Download · Download count: 6,310. I think of twilight like full-on with a darker tone. These killer tracks still have the structure and speed of progressive. The second track has such an amazing, deep, rough and tearing bass sound. Bliss. Great release, a bit more ‘full on’ than your average prog, a nice blend I think. Great production and vibe.